How exciting! 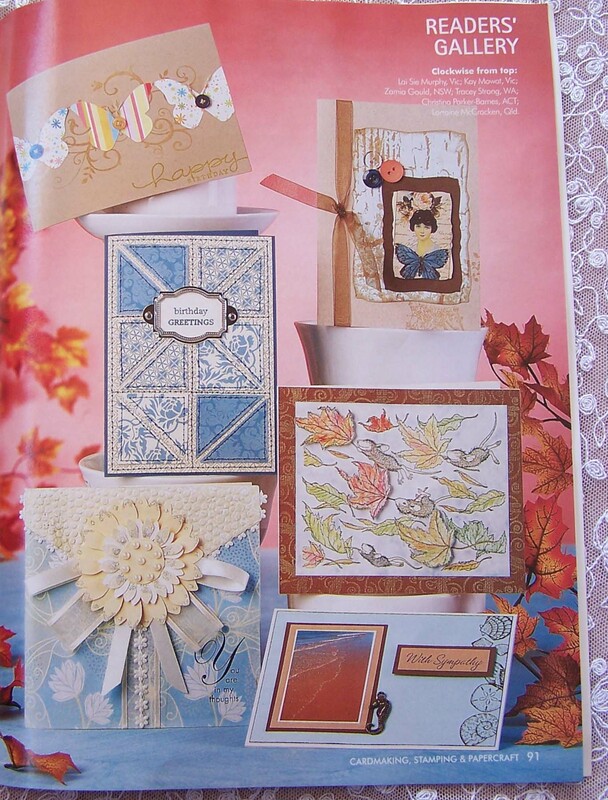 🙂 I came home to find my copy of the latest Australian Cardmaking, Stamping and Papercraft, and on Page 91 in the Reader’s Gallery, is one of my cards. Mine is the blue Patchwork card, and it features some of my all time favourites – lots of paper piercing (of course! 🙂 ), the most beautiful of all of the Designer Series Papers, Bella Bleu, and hodgepodge hardware, which I love but don’t use nearly enough of. Why don’t you pop out and buy yourself a copy, Volume 15 No 11. There are some gorgeous and inspirational ideas in this one (and I am not just talking about Page 91 🙂 ). Enjoy your day, and do lots of stamping!